If you want a new coilover setup from one of the best names in the business and get your money back, this is your chance. 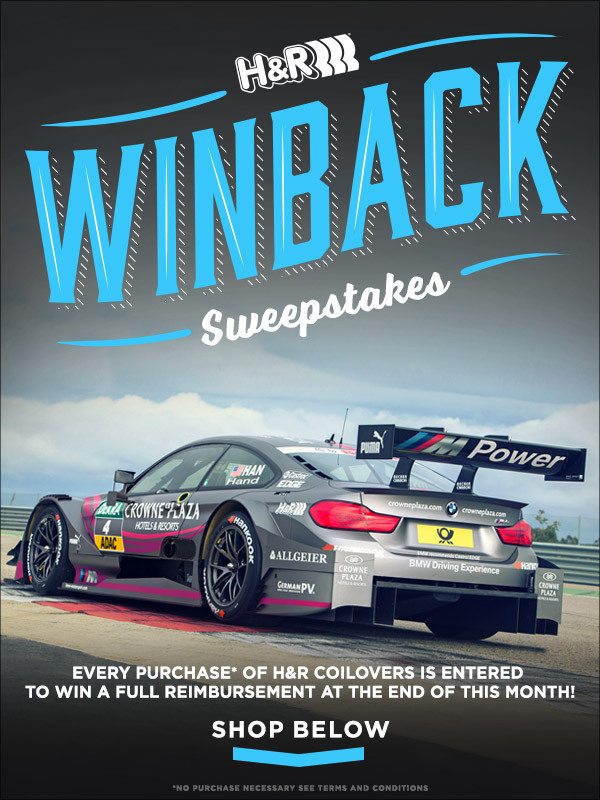 Any make, any model, as long as they are H&R coilovers purchased through ECS, are entered for a chance to be selected for a complete and total refund for the price of the coilovers. The refund will be issued by H&R in ECS Store Credit so your next upgrades can happen even faster thanks to the folks over at H&R. PROMOTION PERIOD: The ECS Tuning 2018 H&R Coilover Promotion "Sweepstakes") begins at 12:01:00 a.m. Eastern Standard Time ("EST") on June 1, 2018 and ends at 11:59:59 p.m. EST on June 30, 2018. Time is running out to get your H&R orders in for a chance to winback your coilovers! Quick Reply: Do you want FREE H&R Coilovers?